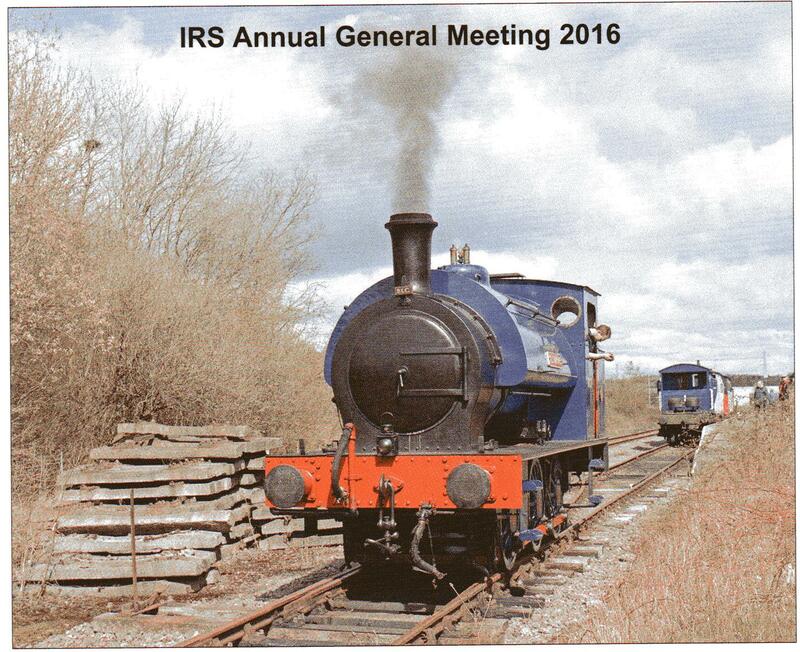 The IRS’s AGM took place on Saturday 16th April 2016 at Chasewater Railway. 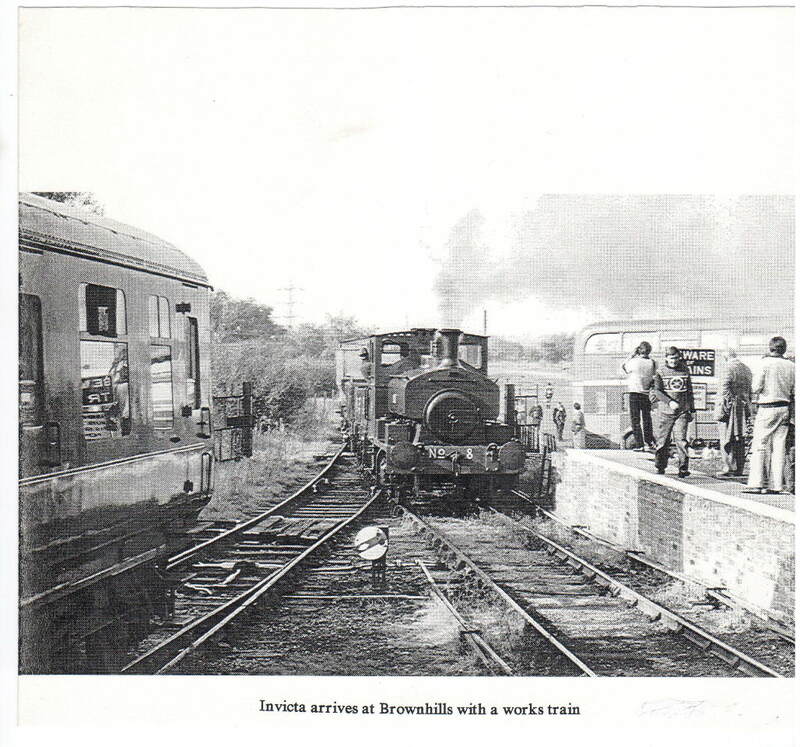 It was enjoyed by IRS members and the members of the Railway who were involved in running special trains for the Society. This photograph was taken by Cliff Shepherd at the IRS AGM weekend in April 1972. 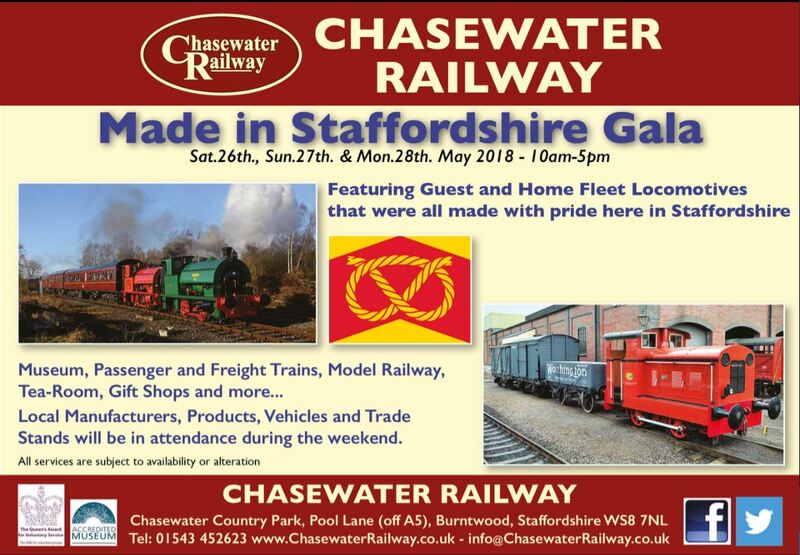 On the Sunday, visits were made to Chasewater and members travelled in the Maryport and Carlisle carriage of 1875 vintage and the Great Western Brake Van, which now, in 2016, is restored to its former glory. The locomotives involved topping and tailing were two former Worthington Brewery Planet locomotives, nos. 20 and 21, on what was then a very basic railway. Holly Bank No.3 (Hunslet 3783-1953) runs around after the first of the IRS trains at Chasetown Church Street Station on 16-4-2016. 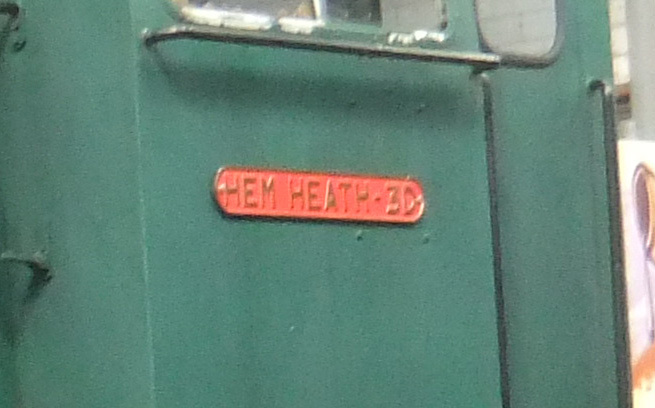 Although locomotives of this type are generally known by their LNER classification, J94, the design originated with the Hunslet Engine Company of Leeds in 1937. 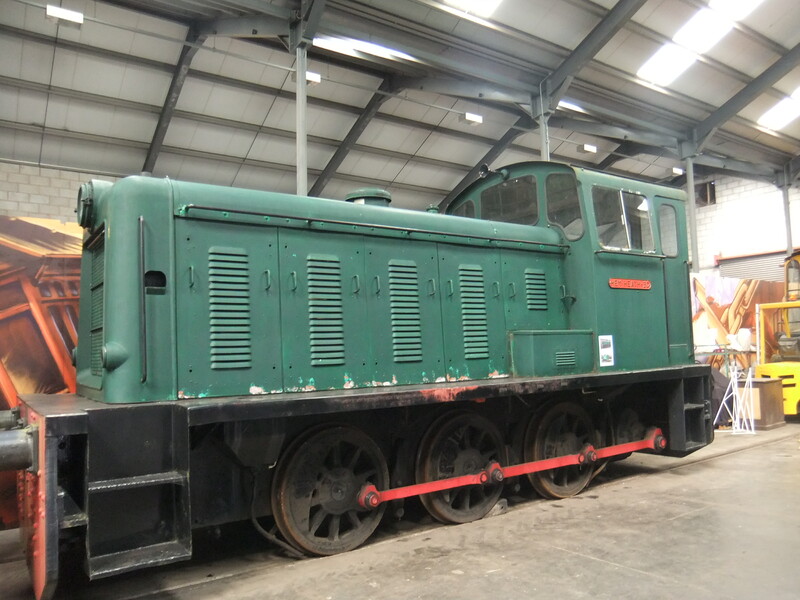 The J94 locomotives gained their claim to fame when, in 1942, they were chosen as the basis for a standard shunting locomotive for war service. 68009 was built in 1953 as Hunslet works No. 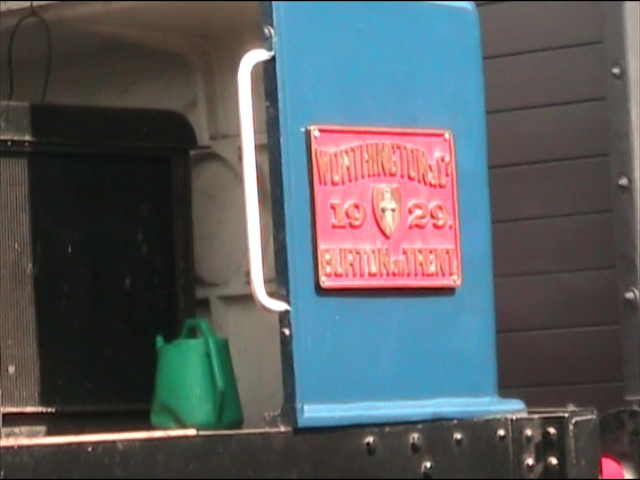 3825 for the National Coal Board and sent to the Kent coalfield. Although the locomotive ran for many years on the Great Central Railway in early British Railways livery, it was never a BR locomotive and therefore the number it carries belongs to a locomotive long since scrapped. However, it was discovered that the boiler was first fitted to the real 68009 and so it was felt appropriate to finish the loco in this livery. 68009 operated at the Snowdown Colliery near Deal in Kent. No. 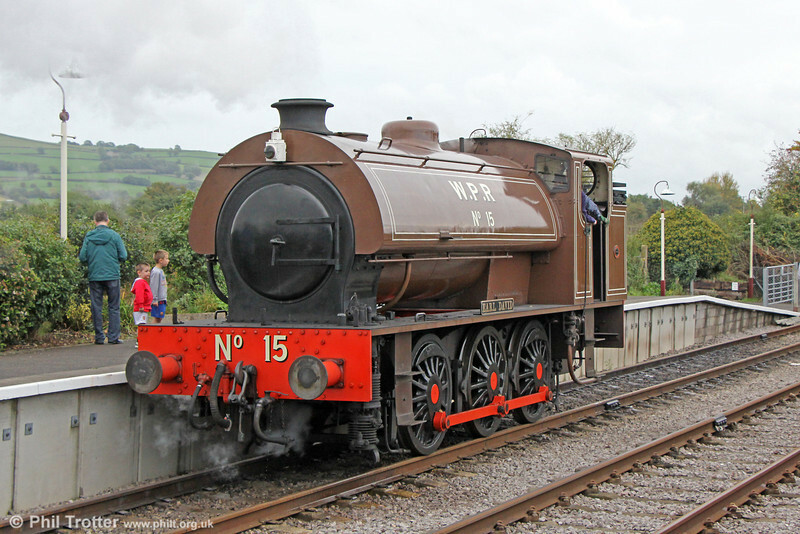 15 is a Hunslet-designed Austerity 0-6-0ST, one of 13 subcontracted to Andrew Barclay. 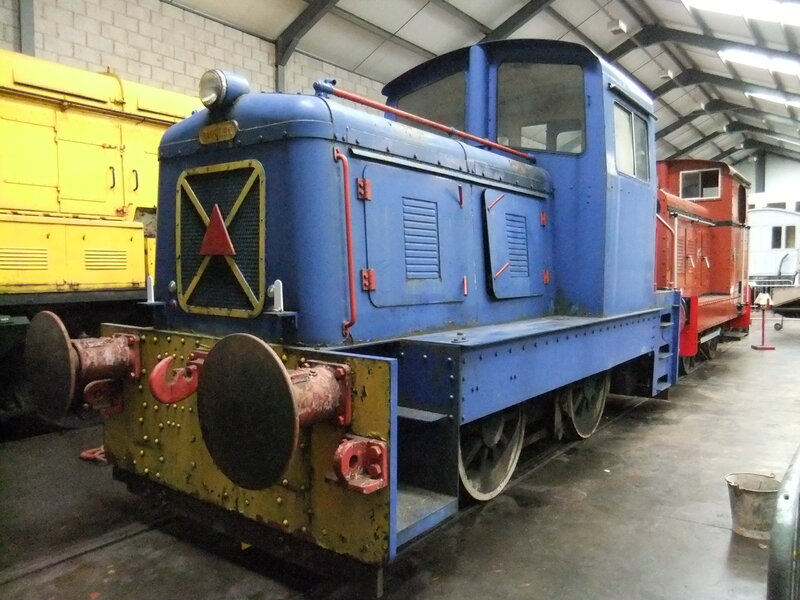 One of only three of the Andrew Barclay-built examples to survive. 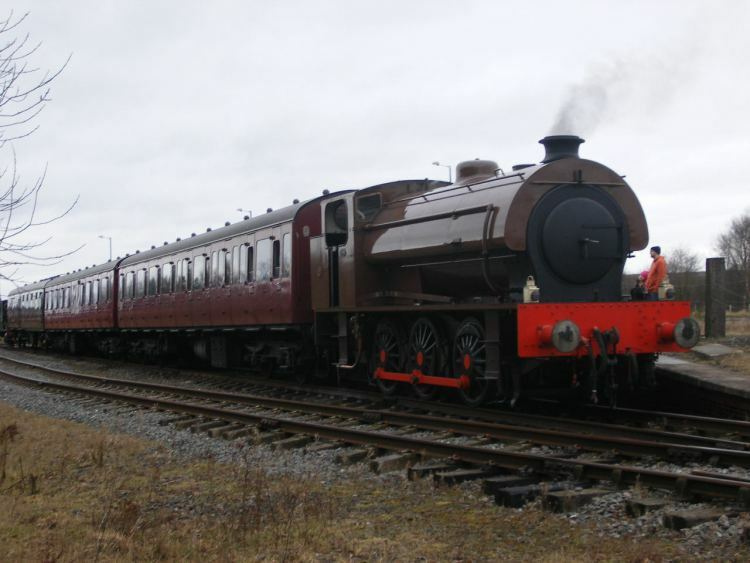 This loco came to Chasewater for the February Gala 2008. The Wemyss Private Railway was a network of lines, sometimes known as the Wemyss Estate Railway. The lines were a group of mineral and other railways in Fife, Scotland, mainly on the land of the Wemyss family. They were built to connect coal pits to harbours and the railway network, for the use of tenants of the Estate. The Wemyss and Buckhaven Railway was built at the expense of the Wemyss Estate and carried passengers; it was later sold to the North British Railway. When numerous collieries needed a railway connection the Wemyss Estate built a connecting line to Methil Harbour and improved the harbour itself. The local network became known as The Wemyss Private Railway and the Estate’s interest was transferred to the Wemyss Coal Company. These terms have been used interchangeably by authors. The collieries were nationalised in 1947 and the sidings connections at the pits followed; the main line railways of Great Britain were nationalised in 1948, but the central section, now known as the Wemyss Private Railway remained in private hands. However the mineral activity in East Fife declined and in 1970 the Wemyss Private Railway closed down. 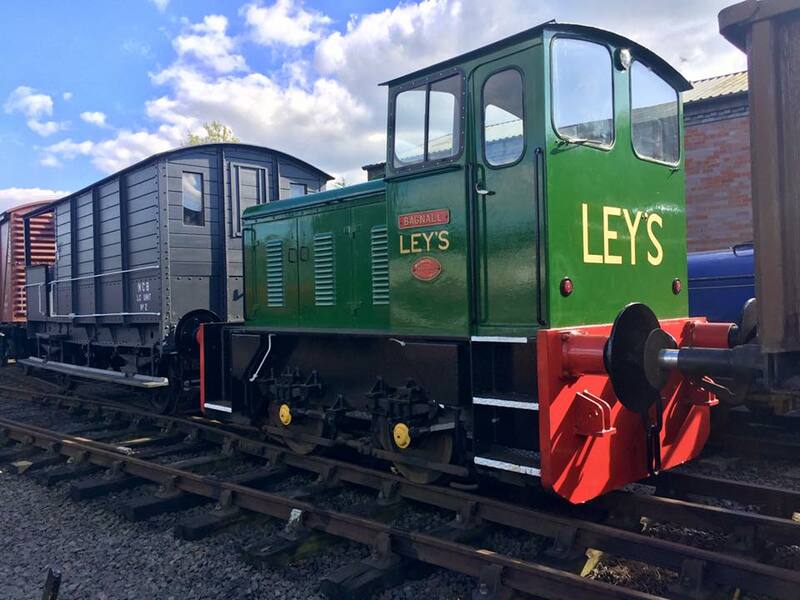 When the loco visited Chasewater Railway, sadly she wasn’t lined out, but in this photo by Phil Trotter, she can be seen in all her glory! Perusal of some of the monthly issues of the mainstream railway enthusiasts magazines often reveals references and photographs of locomotives and items of rolling stock with Chasewater Railway connections, unusually, however, the current ‘Railway Bylines’, volume 20, issue 9 contains maybe more of interest to Chasewater Railway members than may be obvious at a quick glance. 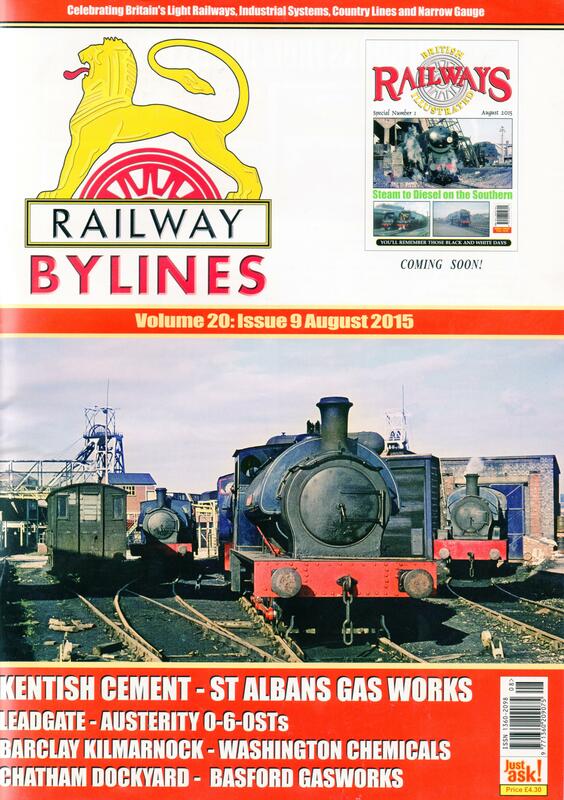 Firstly, the front cover (above) depicts a scene in the shed yard at Littleton Colliery during October 1964. 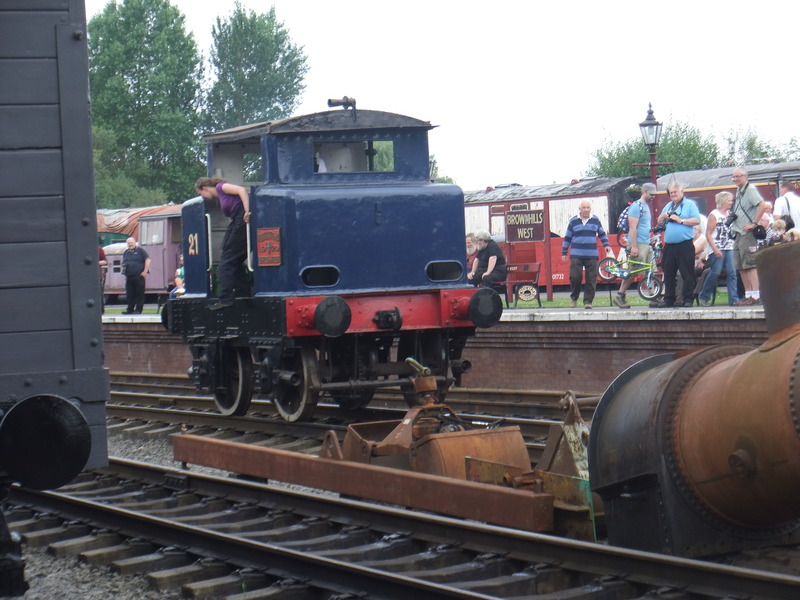 To the left of the photo is the 16 ton ex-GWR brake van which came to Chasewater three years later for the princely sum of £5. Going through the magazine there is an article on Washington Chemicals, County Durham; the article begins on page 418 and includes photographs of some of the locos which worked there. 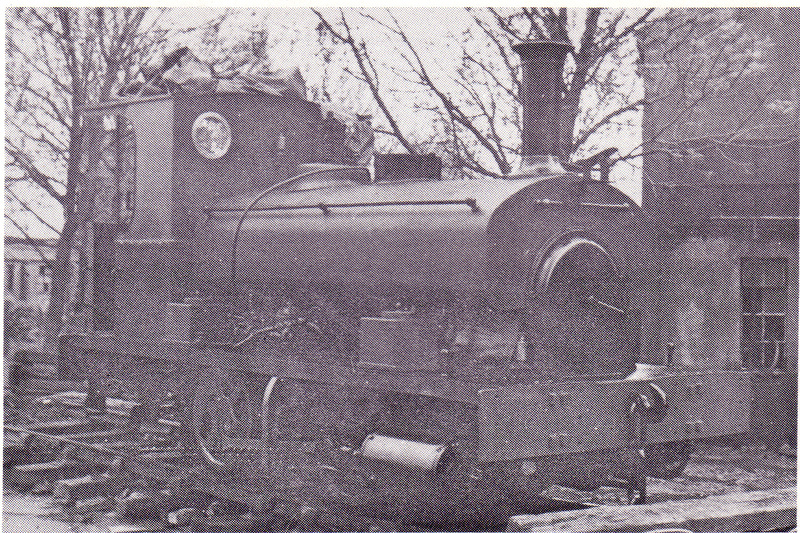 Two of the early locos which worked there were transferred to a sister company at Trafford Park, Manchester, one being Hawthorn Leslie 0-4-0ST, 2780 of 1909. 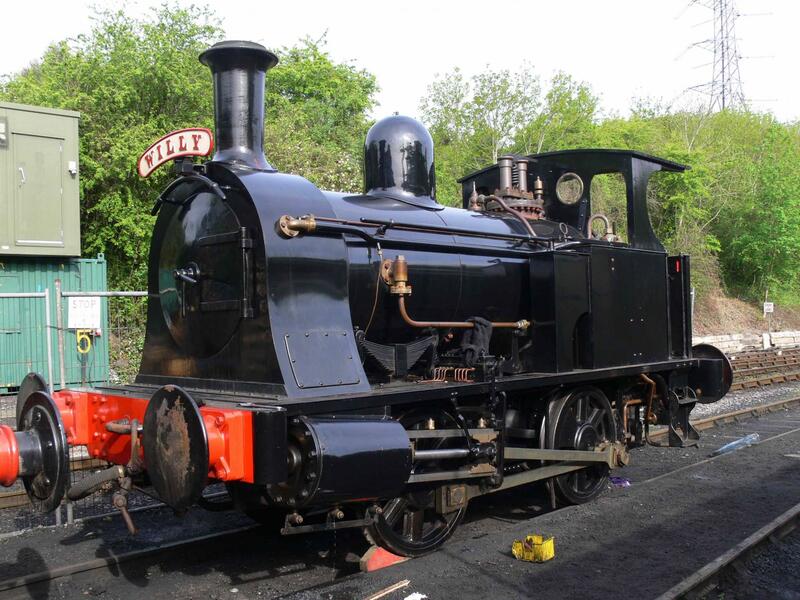 After 35 years at Trafford Park and by now named ‘Asbestos’ the loco arrived at Chasewater in 1968, a gift from her owners. Asbestos at Trafford Park on donation day, 1968. 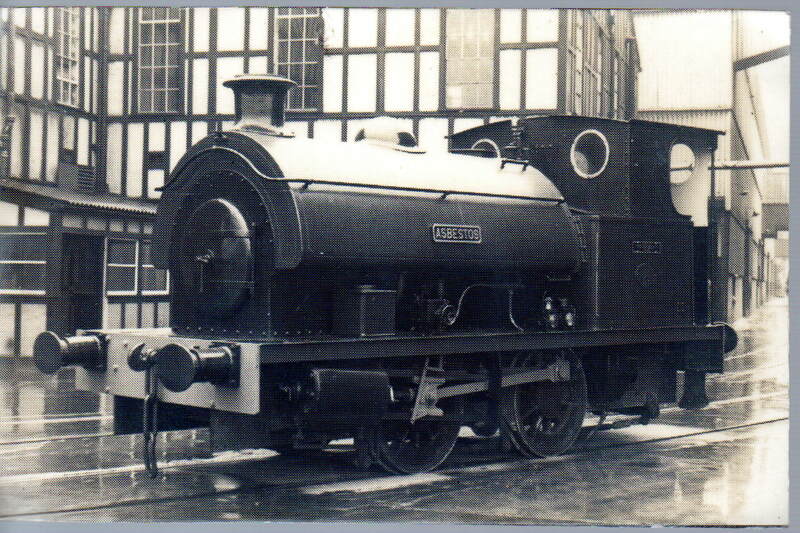 The pages following showing photos of locos at Chatham Dockyard include two shots of the Barclay 0-4-0ST, 2220 of 1946. Entering preservation initially on the Severn Valley Railway at Bridgnorth, a private sale saw the loco at Chasewater for many years, working regularly between 1976 and 1982. Finally, and only a tenuous connection with Chasewater, the Peckett 0-4-0ST, 1879 of 1934 found on pages 438 and 439 in photos taken at Basford Gasworks did, on scrapping, yield its buffers to Barclay 1223, Colin McAndrew when first restored by Society members in the late 1960s. The loco’s own dumb buffers were deemed unsuitable and were replaced with these acquired Pecket buffers bolted upside down so that you couldn’t read the maker’s name quite so easily! Colin McAndrew at Hixon in 1968.